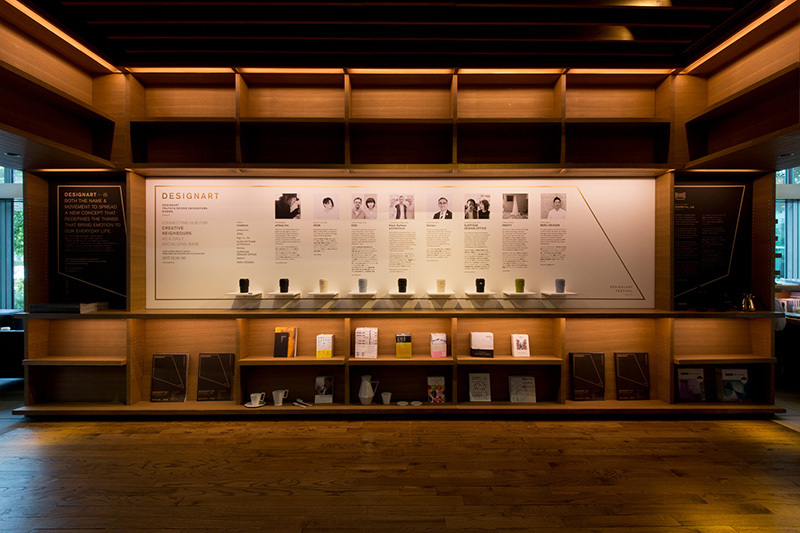 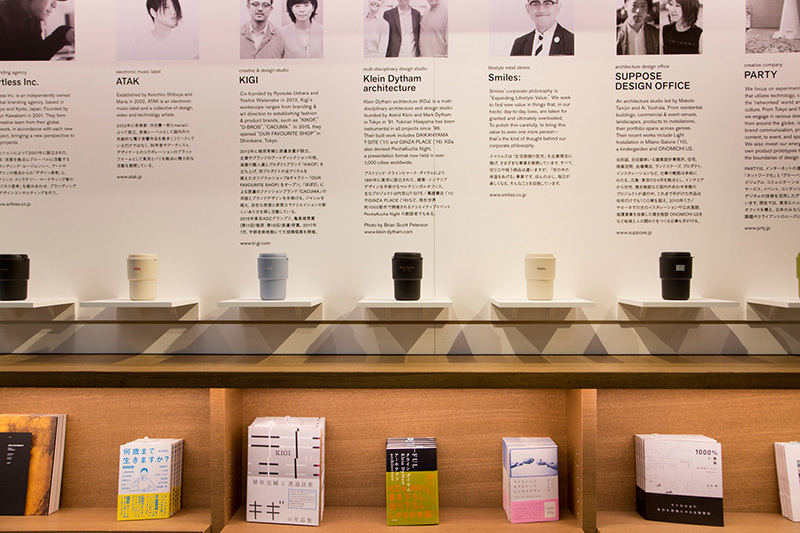 collaboration between DAIKANYAMA TSUTAYA BOOKS, RIVERS and artless Inc.
DAIKANYAMA TSUTAYA BOOKS, RIVERS and artless Inc.
exhibition design: koyuki inagaki, hitomi yasuda, artless Inc. 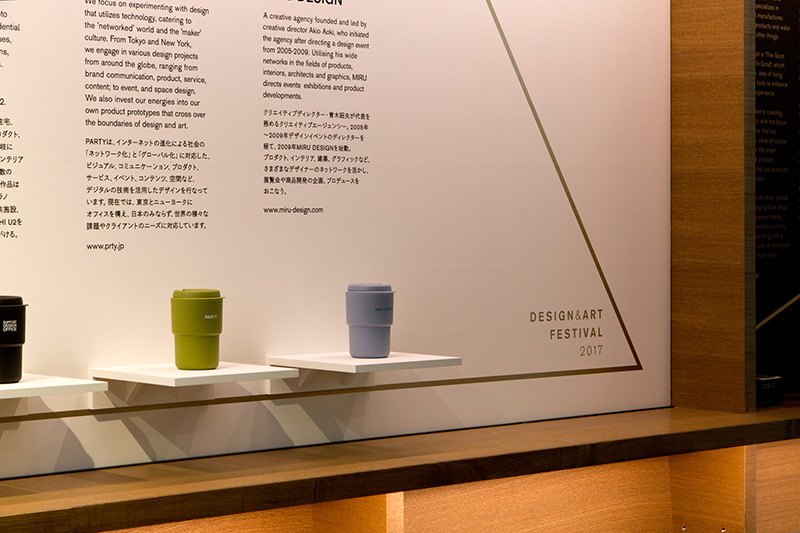 The exhibition features seven groups of artists and designers that represent Japan and share a connection with this hub of creativity. 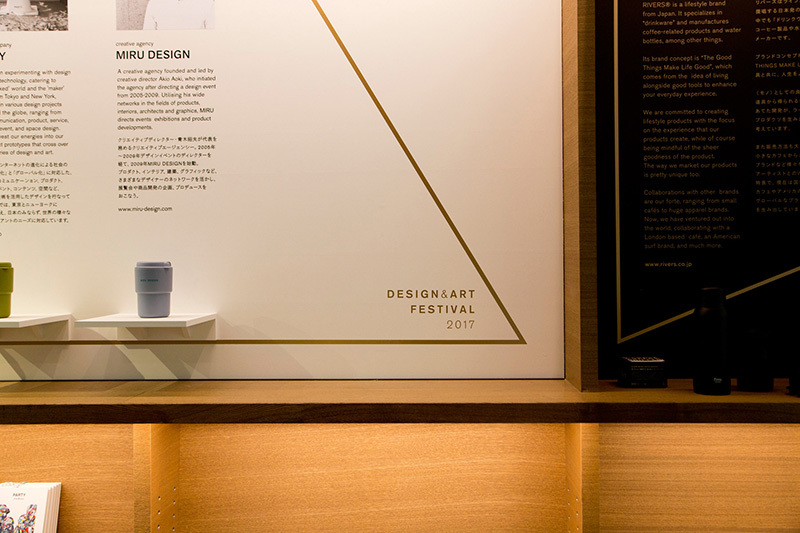 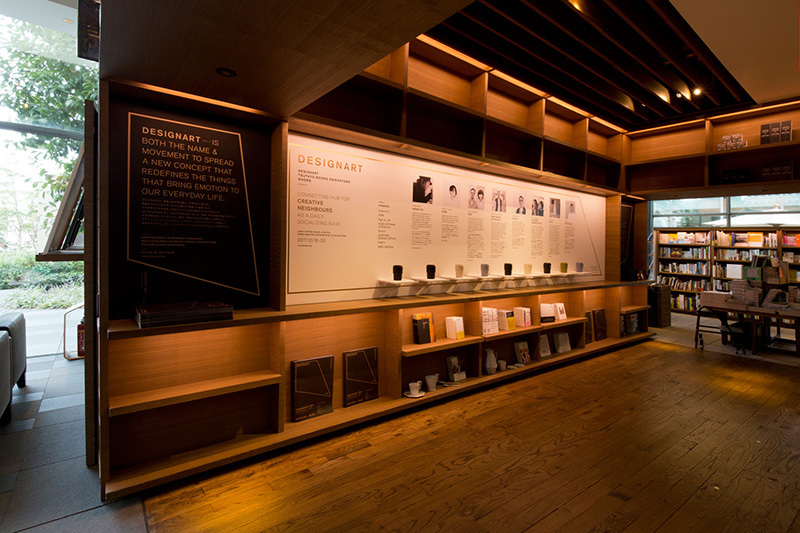 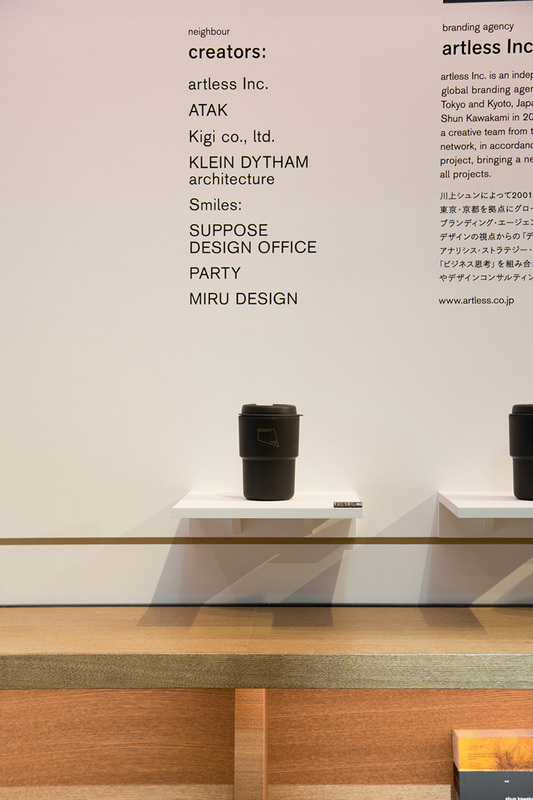 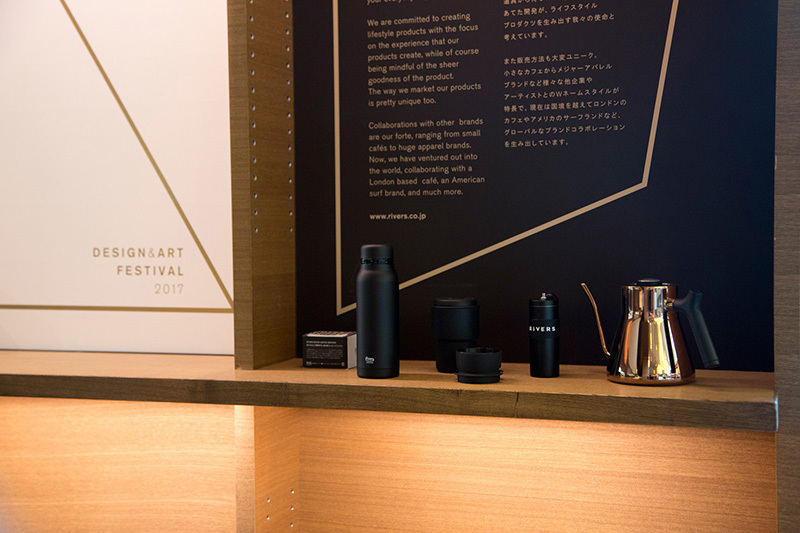 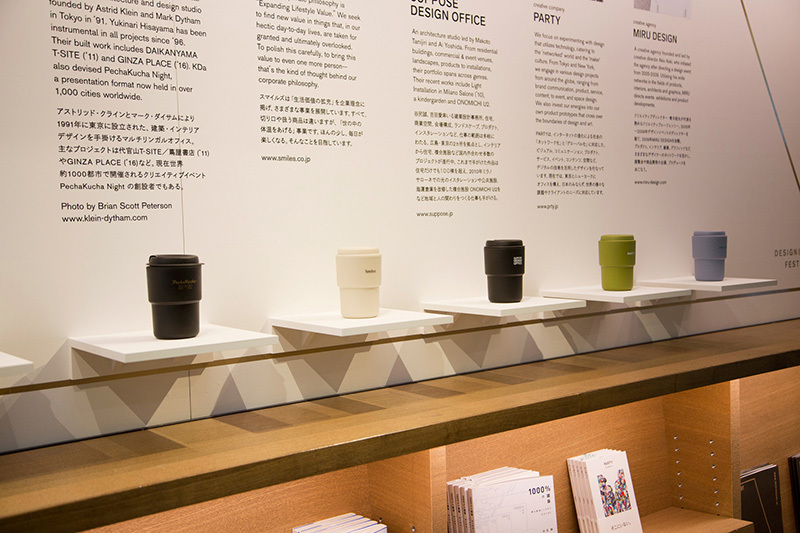 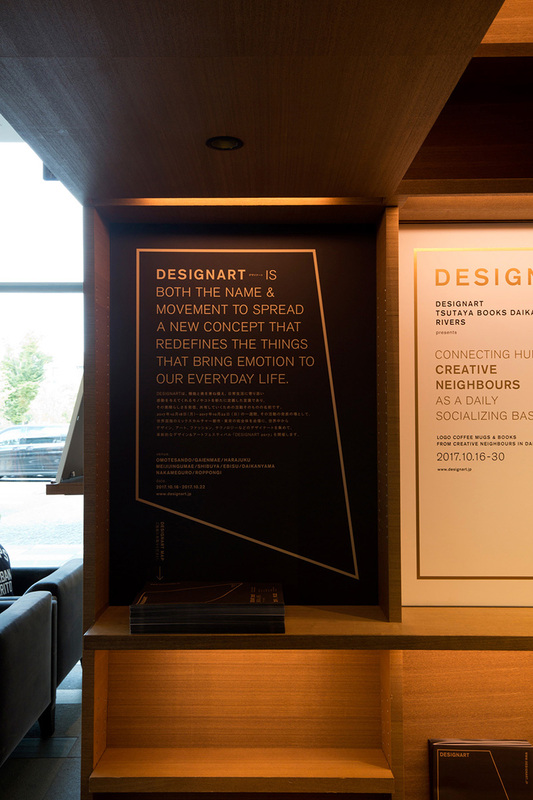 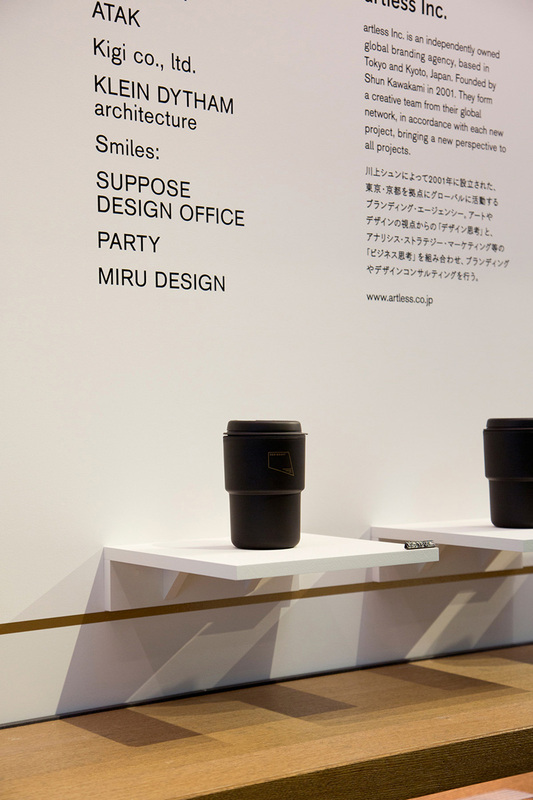 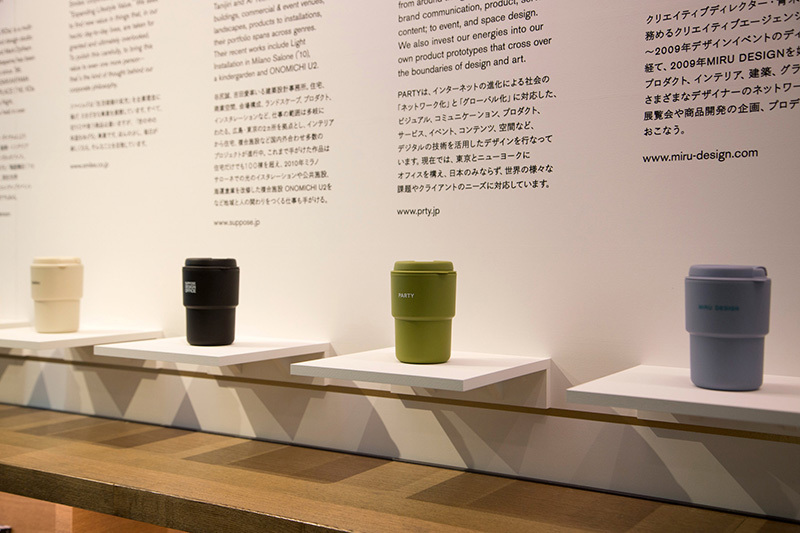 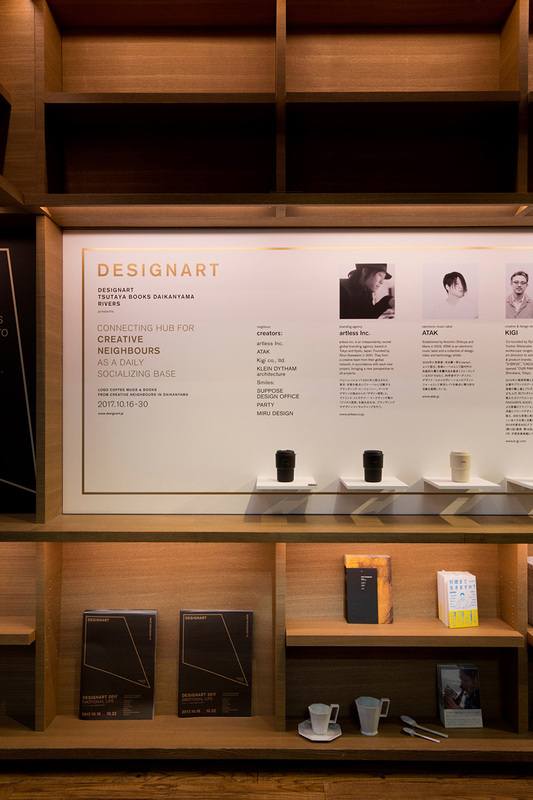 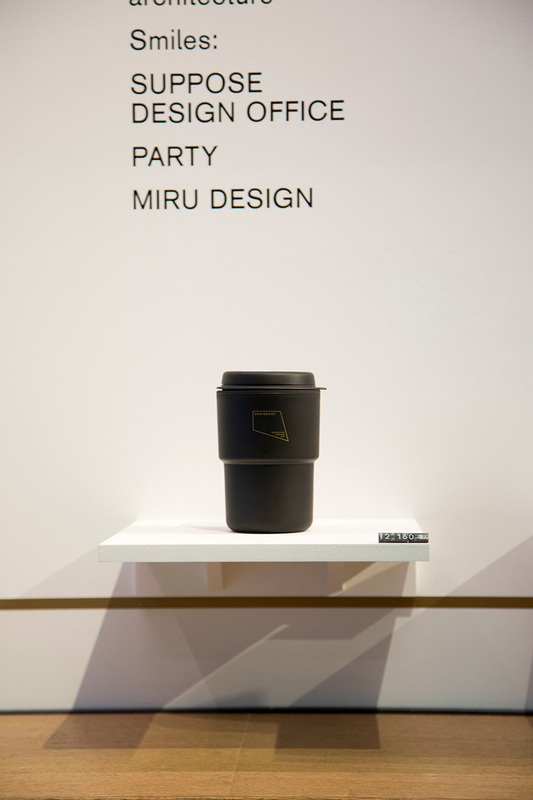 As part of DESIGNART, visitors can experience, enjoy, and take home a part of the exhibition. 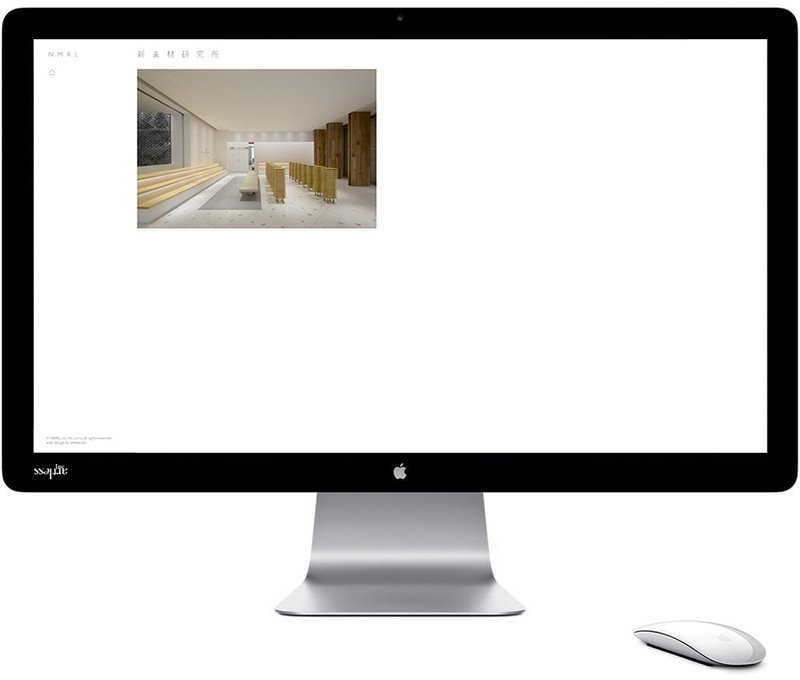 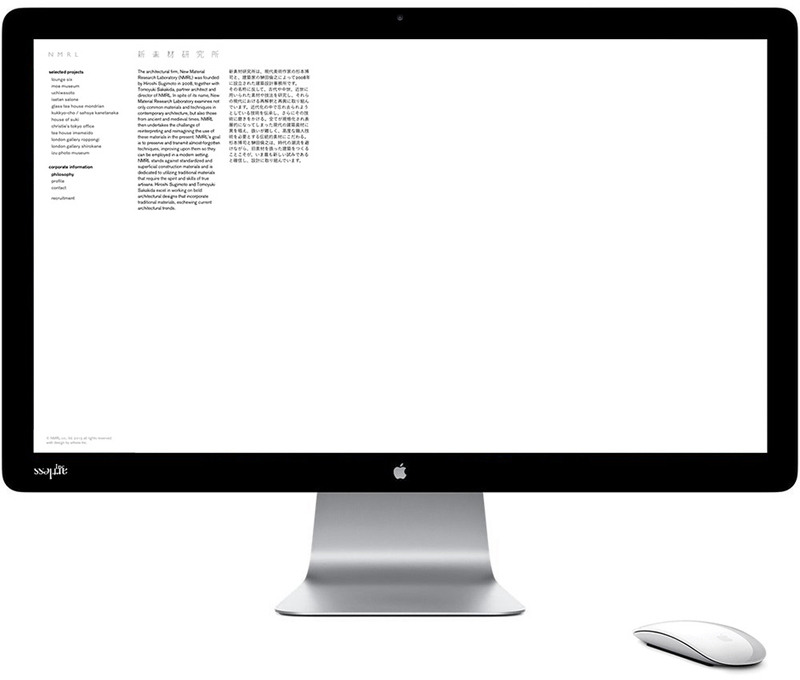 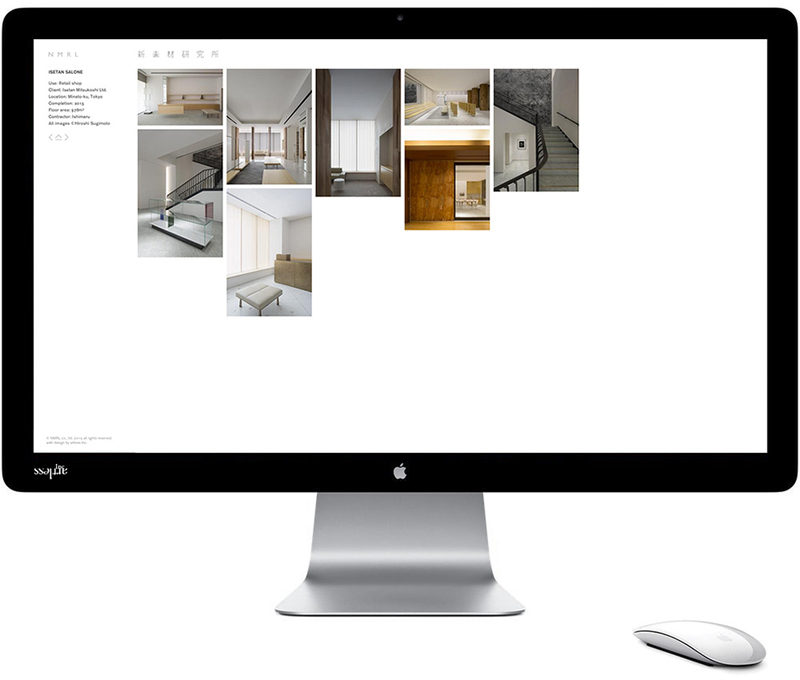 web design by artless Inc.
creative derection: shun kawakami, artless Inc.
graphic design & art direction: nao nozawa, artless Inc.
We were in charge of designing the website for New Material Research Laboratory (NMRL). 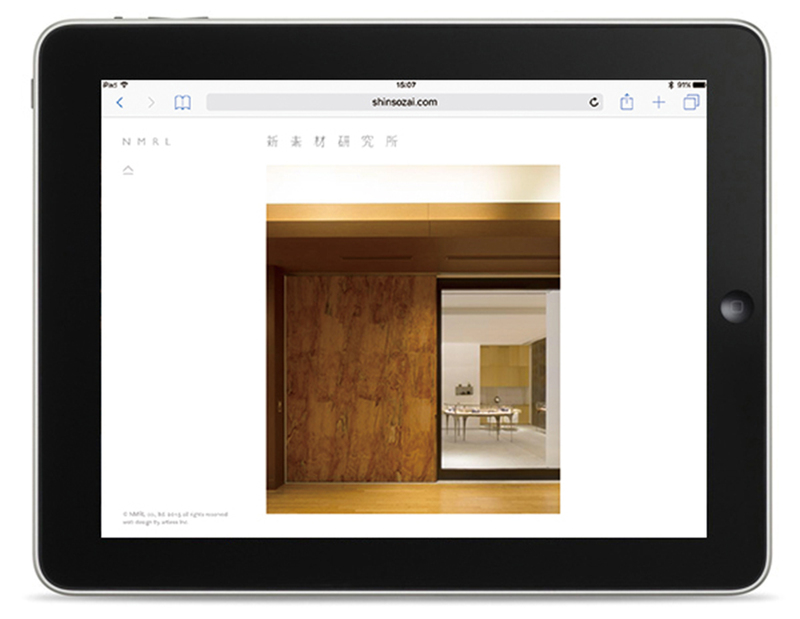 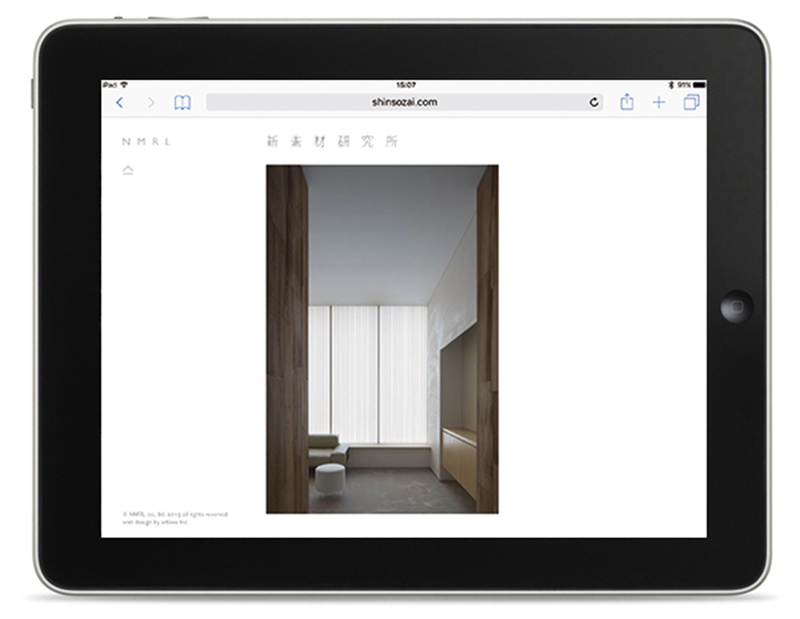 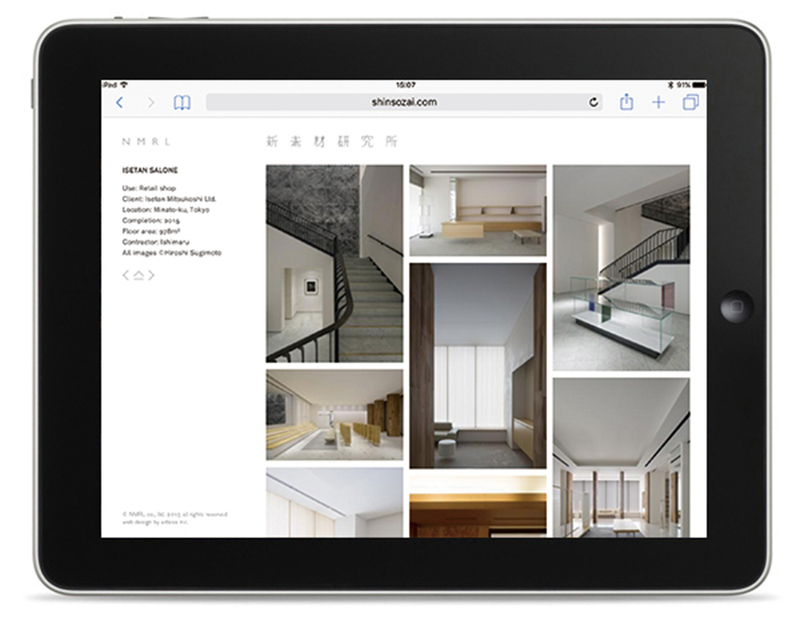 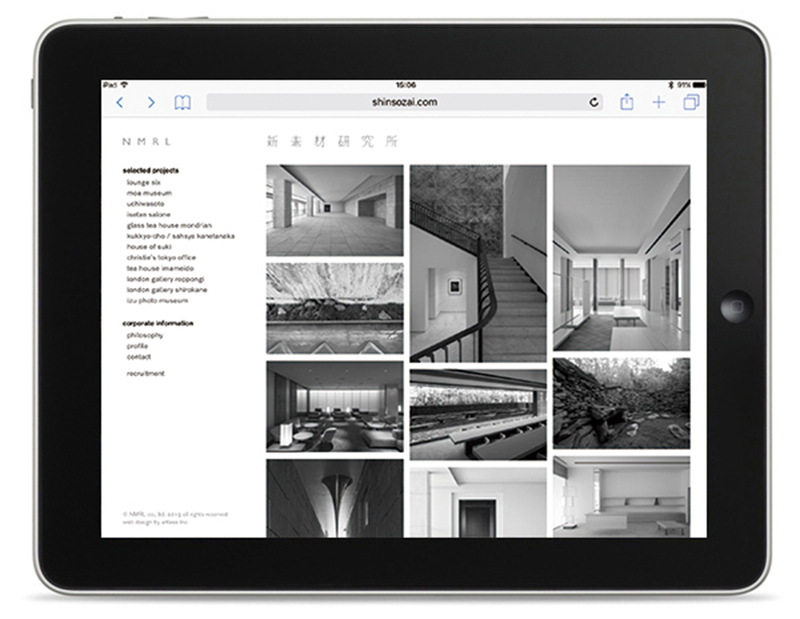 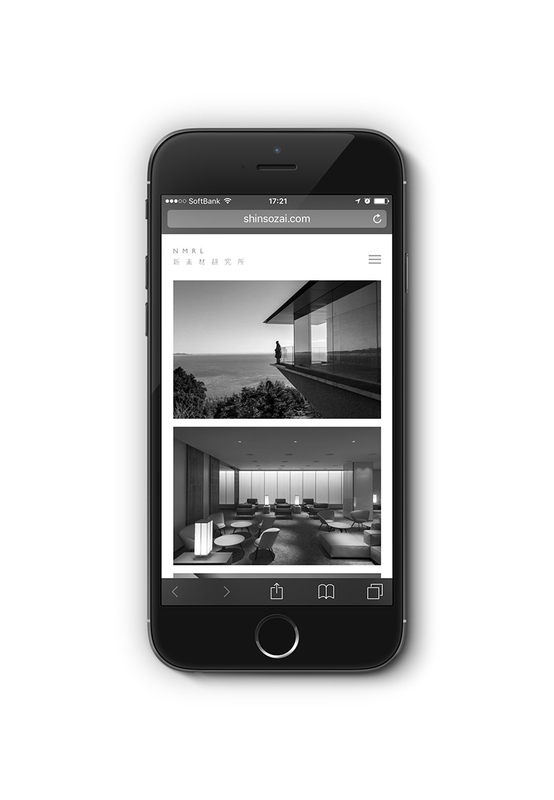 NMRL is an architectural firm founded by contemporary artist Hiroshi Sugimoto and architect Tomoyuki Sakakida. 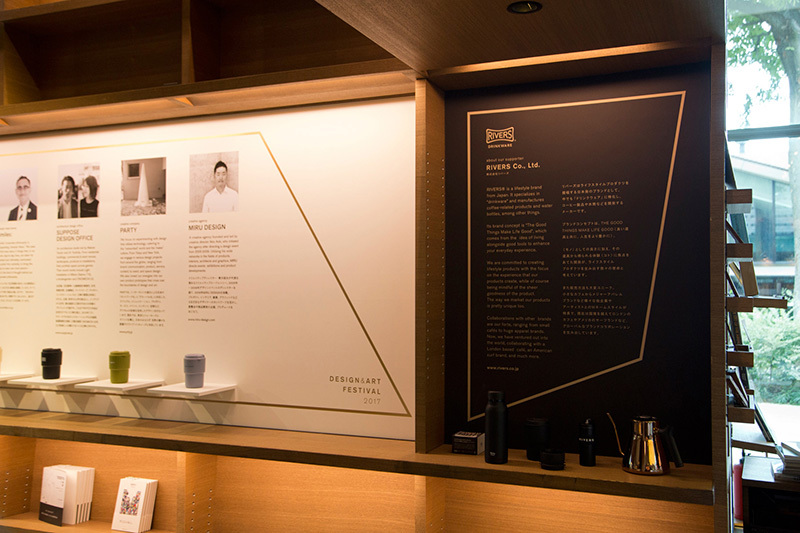 “NMRL stands against standardized and superficial construction materials and is dedicated to utilizing traditional materials that require the spirit and skills of true artisans.” From the glass tea house at the Venice Biennale to the MOA Museum of Art, the laboratory’s philosophy is the unwavering foundation of each of their serene yet powerful projects. 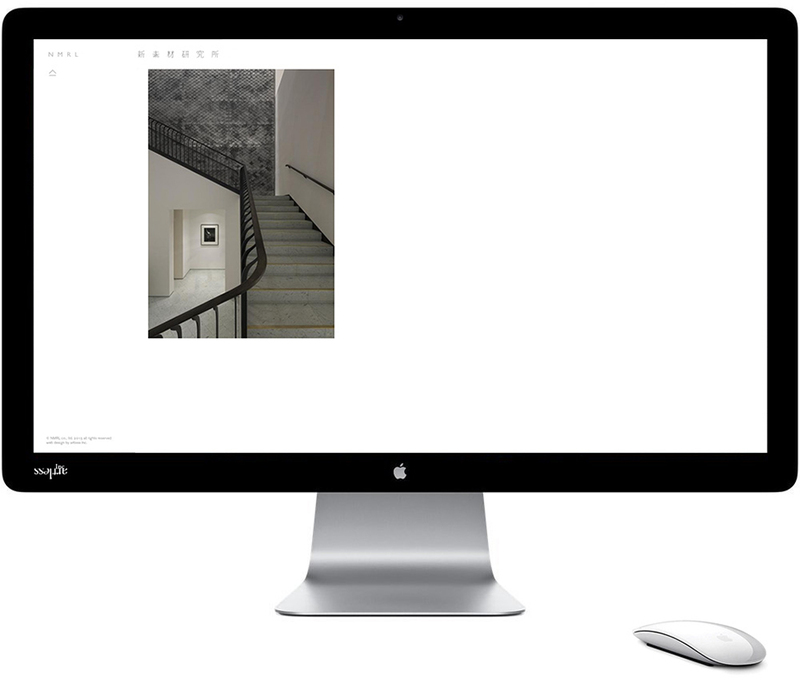 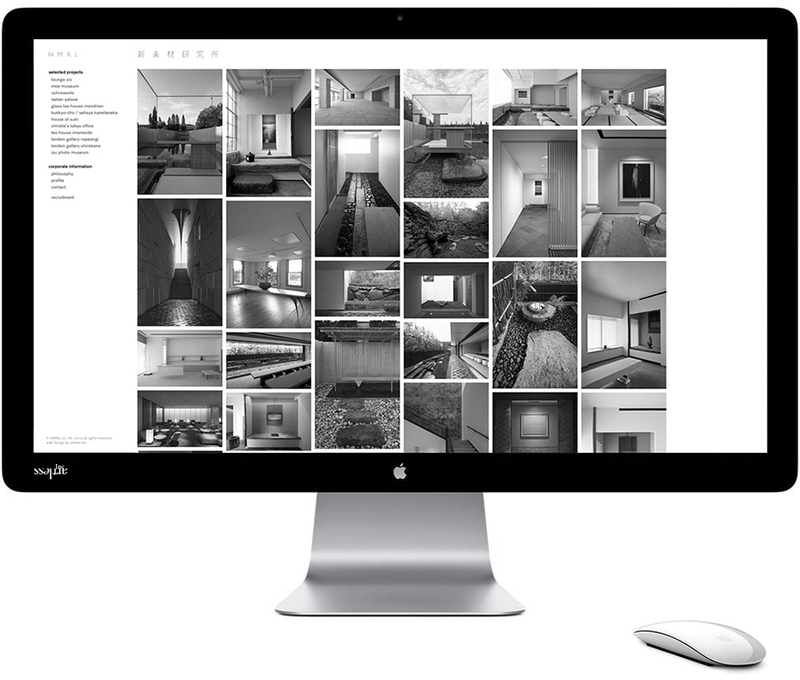 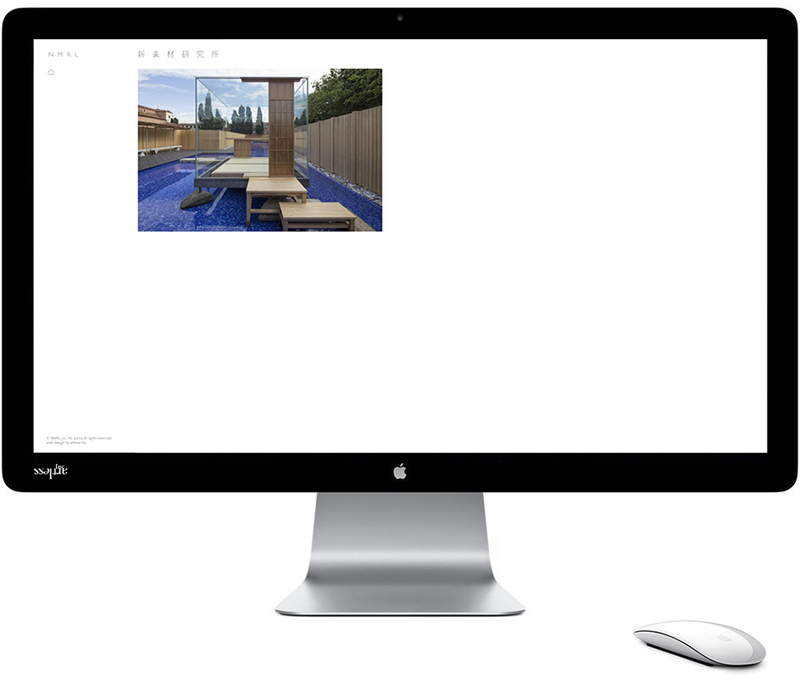 To showcase the achievements of the firm, we arranged the photographs of their work in a grid-based design to highlight the delicate refinement of each project. 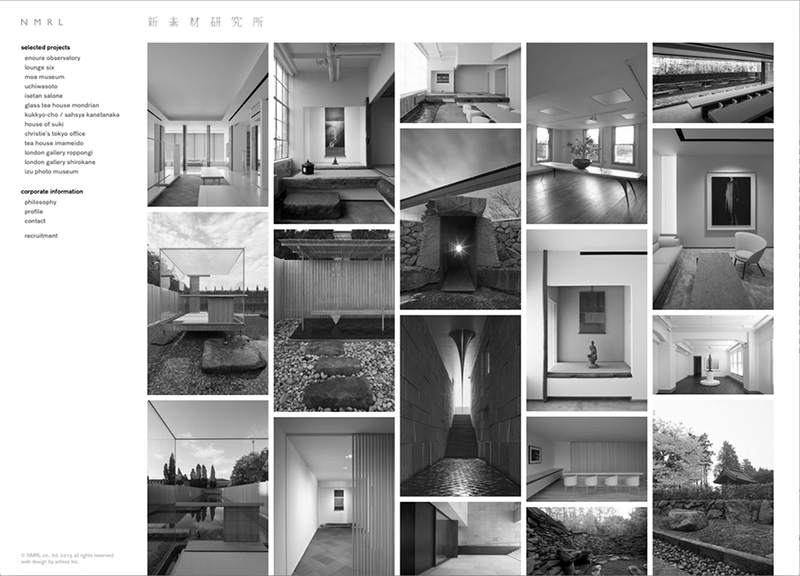 The systematically arranged top page utilizes movement only possible in the digital realm to express the richness of the works. 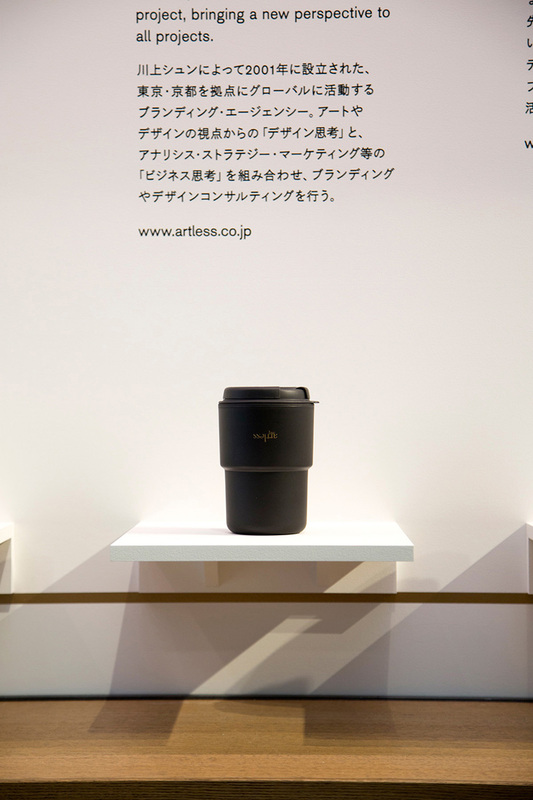 Distilling the design to only the essential elements allows the many photographs by globally renowned artist Hiroshi Sugimoto to fully express NMRL’s unique vision. 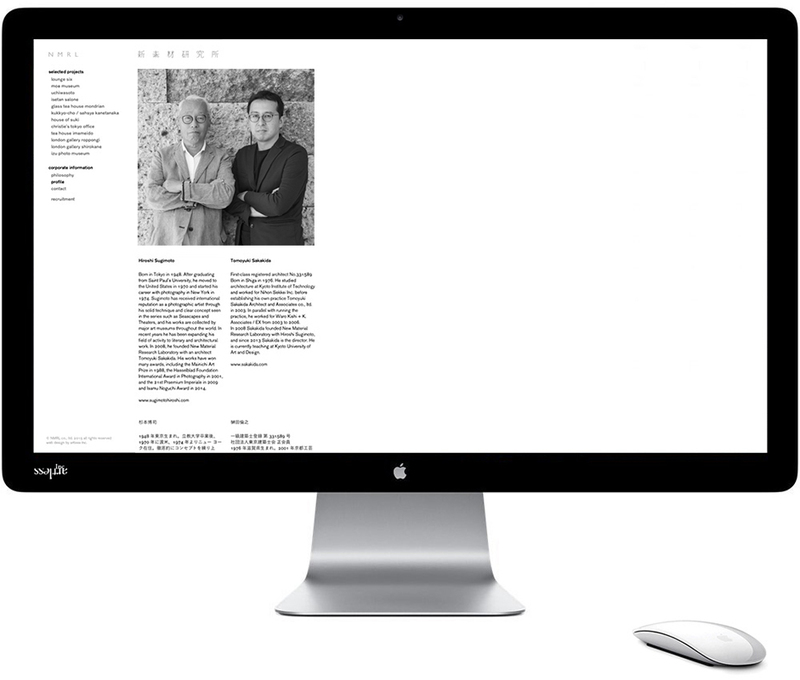 will open to the public this autumn to deliver their singular philosophy and unparalleled quality. 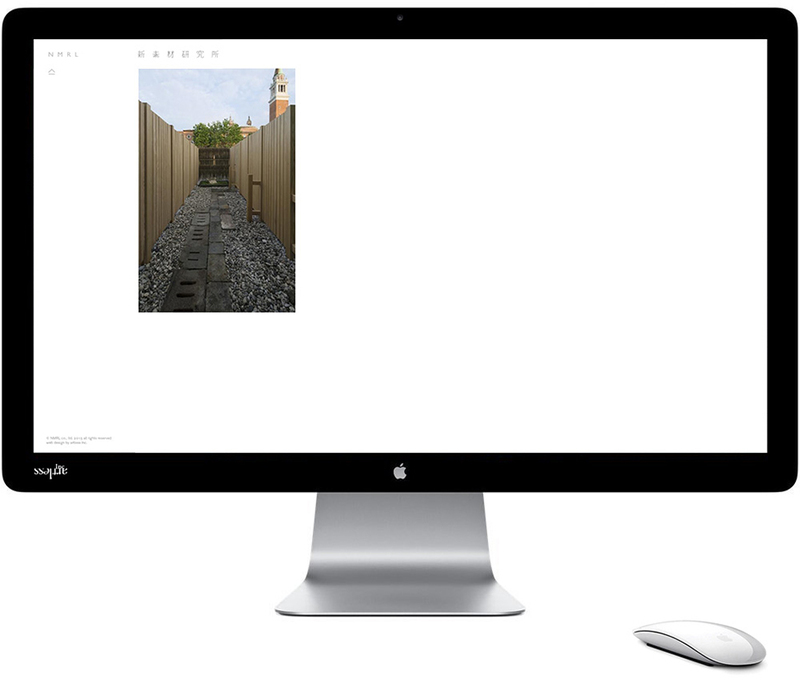 Please visit the website for updates on future projects by NMRL.